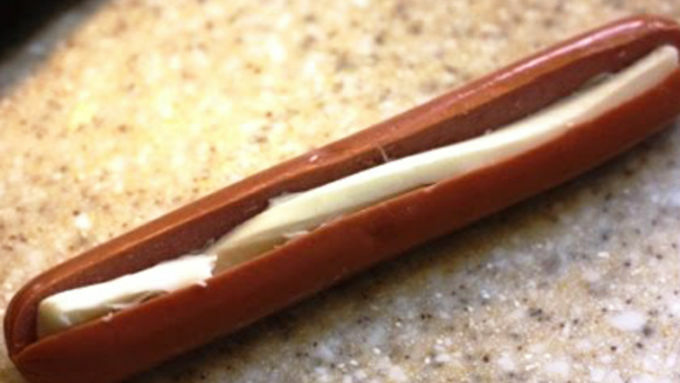 Slice string cheese in four long pieces (lengthwise). Cut a slit in each hot dog, taking care not to go all the way through, and insert a piece of cheese. 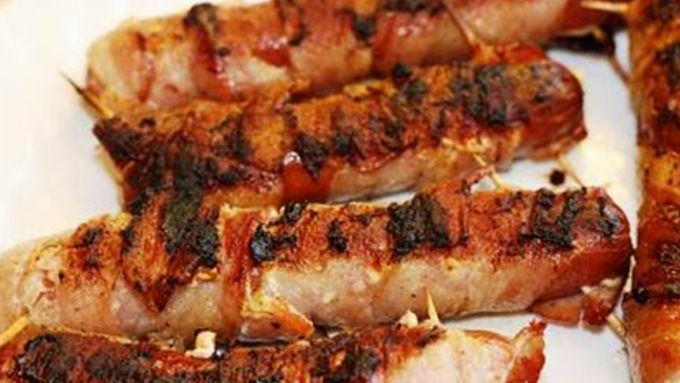 Wrap hot dog entirely in bacon (2-3 slices) and secure with toothpicks. Spread brown sugar on a plate. Roll each wrapped hot dog lightly in brown sugar. 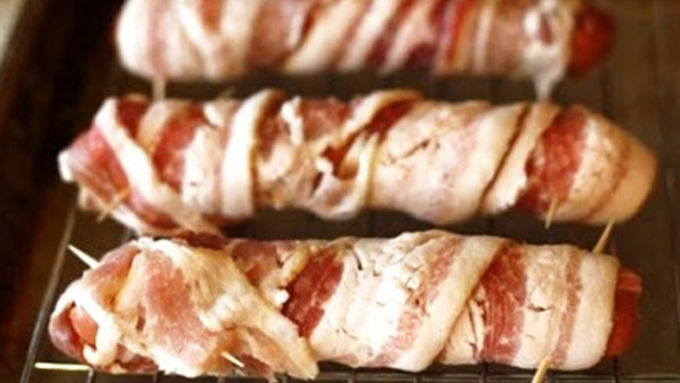 Place on broiling rack or grill and cook until bacon is crispy, turning once. 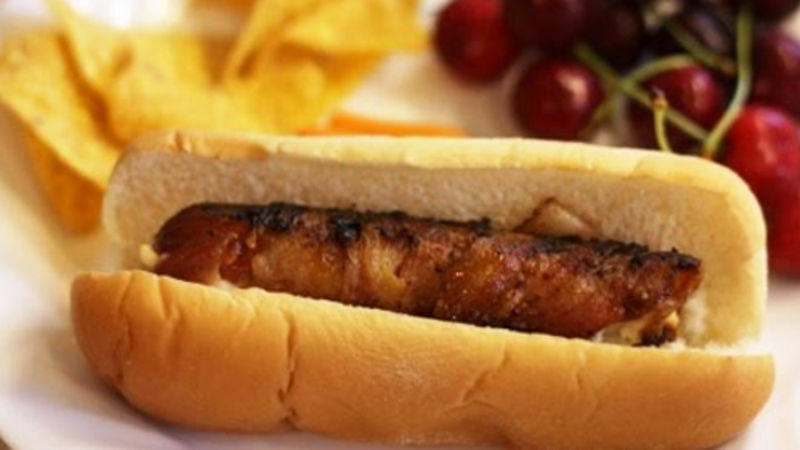 Remove toothpicks and serve on hot dog buns with your favorite condiments. If you’re a fan of fancy food or looking for a ladies’ brunch idea, please avert your eyes! Don’t say you weren’t warned… If you want some super hearty food for your next football or tailgating party, love hot dogs and love bacon, you’re reading the right post. I’ve heard it said that bacon is a pig’s way of saying “I love you,” and I completely agree. So, we’re doubling up on the pork for one seriously amazing hot dog! The crispy bacon coating combined with just a touch of brown sugar really gives them an amazing flavor. You can broil or grill these little bundles of joy -- both ways are delish! Serve on hot dog buns with your favorite condiments. Enjoy!